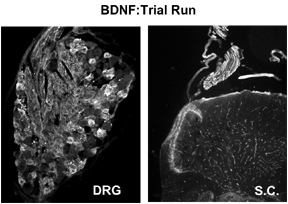 BDNF staining in the rat spinal cord dorsal horn (1:1000). Data Courtesy of Matt Ramer Lab. University of British Columbia.